Whether you’re searching for the perfect gift to give to that special jetsetter in your life or looking to treat yourself, we’ve got you covered with this list of our favorite travel-themed jewelry. From airplane charms to personalized skylines, these ornaments will give a subtle nod to the importance of travel in your life—and they’re all less than $30. This uniquely shaped ring can be custom stamped with the GPS coordinates of one or two locations that mean the world to you. It makes a great gift for long distance couples, or anyone living far from home. 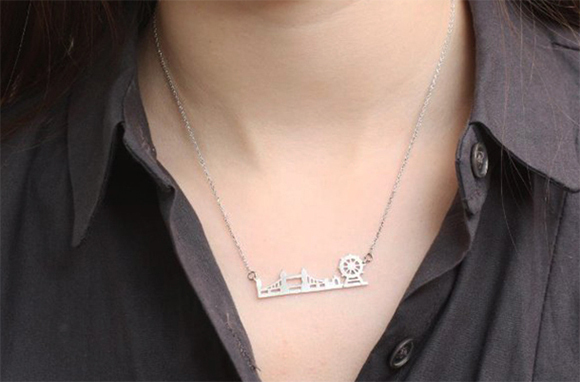 Display your hometown pride with this personalized necklace from LOVEhandmade. The necklace is available in the shape of any state, and you can let the seller know where you would like the cut-out heart to be positioned (so you can show exactly where you're from). 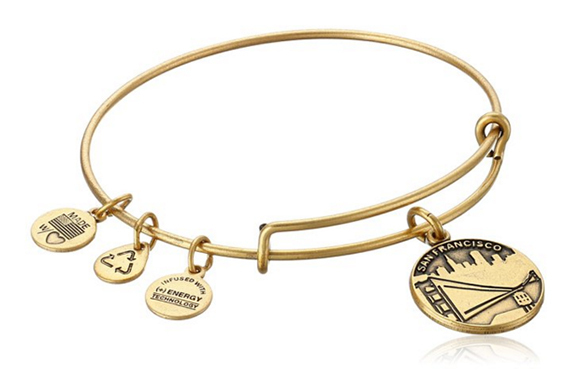 Alex and Ani jewelry has exploded in popularity recently, thanks to the cool charms that highlight the personality of the wearer. Show off places you've lived, visited, or want to go with one of these Places We Love bracelets, available for a number of different cities and regions. The bracelets are expandable to fit all sizes, so you can confidently buy these as a gift without worrying about measurements. 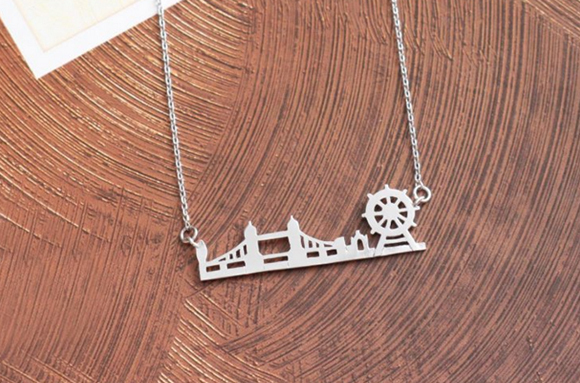 Instead of wearing your heart on your sleeve, wear it around your neck with a necklace that keeps your favorite city close. The London Scape Pendant is a whimsical representation of the Big Smoke, with iconic sites like the London Eye making the skyline instantly recognizable. These airplane earrings will remind you of all your favorite trips every time you wear them. They're made from sterling silver, so they'll last for many flights to come. If you or someone you know has a Pandora bracelet and incurable wanderlust, this little red suitcase charm is the perfect addition. The Soufeel Travel Suitcase Charm fits any bead type charm bracelet, and is made of sterling silver. Never lose your way again with this practical yet fashionable pendant. 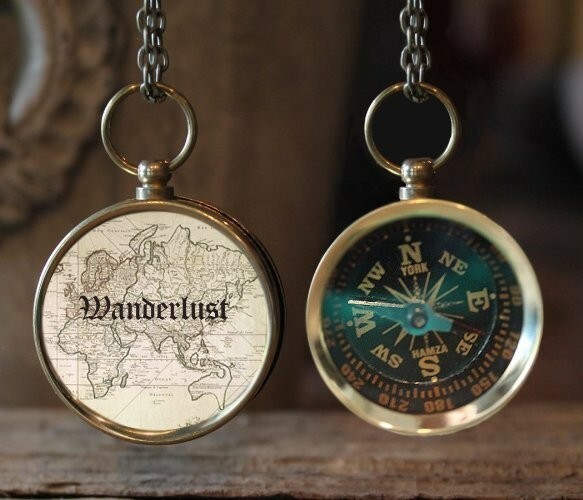 The Wanderlust Vintage Travel Map Compass Necklace has an actual working compass on one side, and on the other, a vintage map emblazoned with the word "wanderlust". 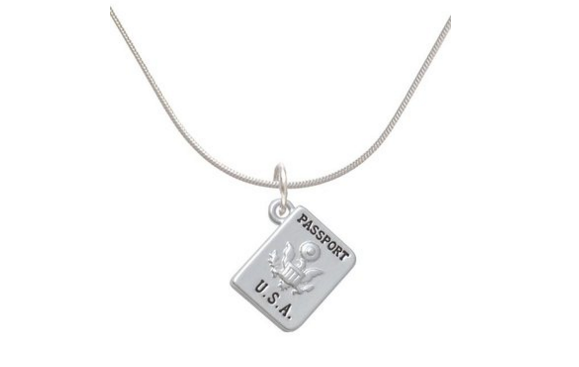 We wouldn't recommend trying to use this passport charm necklace as ID at border control, but it would make for a fun conversation starter about travel. It comes on an adjustable chain necklace so you can wear it long or short. 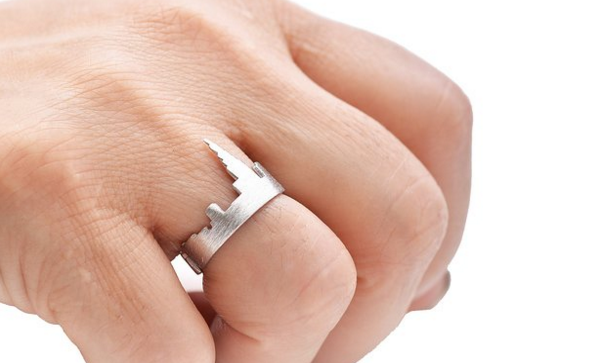 Take your favorite city with you wherever you go, with a cityscape ring from SpinningDaisy. Available for cities around the world, these adjustable rings feature outlines of famous skylines, with the destination's name engraved on the inside. "Travel is more than the seeing of sights". This little charm bracelet has this perfect reminder engraved on it, along with charms featuring all the essentials—a plane, globe, purse, and sunglasses. Caroline Morse loves all things fashion and travel. Follow her adventures around the world on Instagram @TravelWithCaroline and on Twitter @CarolineMorse1.